A fantastic year in 2011 saw Ciceley Racing's Adam Morgan crowned as Ginetta G55 Supercup Champion. Adam’s prize was the largest in British Motorsport, a drive in a Next Generation Touring Car Toyota Avensis, contesting in the 2012 Dunlop MSA British Touring Car Championship. Adam is now firmly established as one the countries best racing drivers. At 24 years-old Adam is considered by many to be one of the most exciting prospects in British motorsport. Adam’s first full year racing cars began in 2010, where he won the Ginetta G50 Team Championship, finishing 6th in the standings whilst also being selected as a finalist in the Prestigious Porsche Scholarship. An amazing achievement against some of the best professional drivers in the country. Adam was educated at Stonyhurst College to A level prior to attending University in Bristol. 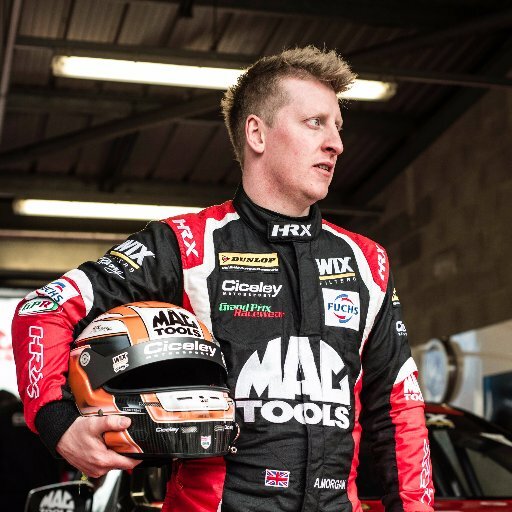 His maturity, intelligence and cool nature, has endeared him to the 371,000 fans that attend at the track, and a TV audience of 19.5 million who tune in to ITV4’s ten six-hour live BTCC broadcasts throughout the year. Finally and most importantly, Adam and Ciceley Racing would like to thank their friends and sponsors, who without their commitment and support, none of this would have been possible.